I was thoroughly impressed by the initiative and maturity of your staff. 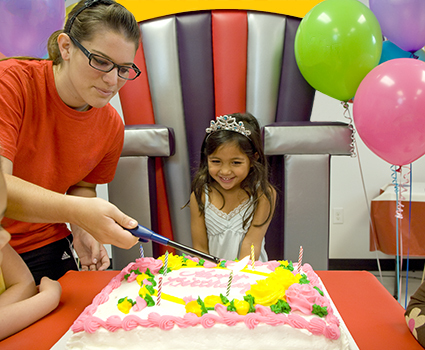 We had our daughter’s birthday party there and every aspect of the event was extraordinary. We have been to the facility twice before and been impressed with the cleanliness and overall environment of the facility. We were very happy with the performance of your staff and how well the party was run. BounceU is awesome! My kids love that they can come here and run and jump and get out all their energy. Each week they look forward to playing with both Matt’s and Victoria (BounceU staff) at the Preschool Playdates. It is not that often that my husband and I get to have a date night. 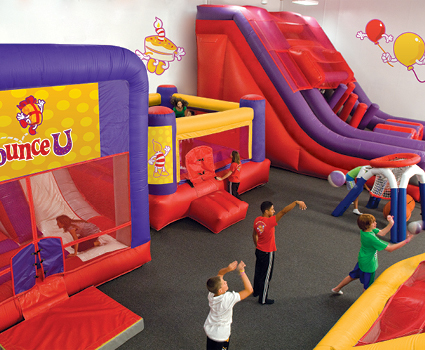 BounceU gives us that opportunity with Parents Night Out. And our kids have a great time as well. Thanks BounceU! My kudos to your staff for an unbelievable party. Your facility is awesome and so clean! Thanks. We will be back again! I am very impressed with how attentive our Party Pro’s were. They helped our little ones up in the spider mountain and ran through the obstacle course with them. I was tired just watching them! The kids had a blast and the parents did too. You made my child feel very special. Thank you for an easy party! We had a great time! The Party Pro’s did everything for me. I didn’t have to lift a finger!